Prince of Persia has been hard to follow these past 23 years. Mechner’s original platformer for the Apple II has been remade innumerable times for nearly every video game playing device on the planet. It saw two sequels, one of which marked the series’ transition to the third dimension, before going into hibernation. When it re-emerged, the series was recast as Prince of Persia: The Sands of Time, a series that itself received multiple sequels and spin-offs as well as a movie starring Jake Gyllenhaal. In 2008 though, a third series with stylized cartoon graphics was started up, titled simply, befuddlingly Prince of Persia. That was followed in 2010 with a sequel to Sands of Time. What’s the state of Prince of Persia in 2012? Ubisoft is rebooting the series for a third time in ten years! And the new series will be called: Prince of Persia. Thanks for the clarity, Ubisoft. Rumors originating from the Prince of Persia forums, Russian website Playground.ru, and NeoGAF claim that Ubisoft is showing select press a trailer for the new reboot showing a grimier take on the series hewing closer to historically influenced Assassin’s Creed series rather than the more fantastic Prince of Persia games of old. 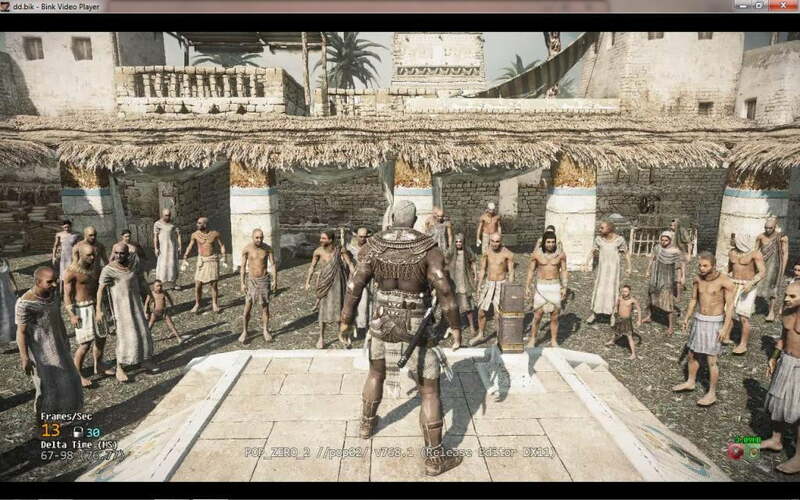 The alleged screenshot shown above references the game by the codename “PoP Zero 2.” Another reboot for the series making Prince of Persia a modern day tale was said to be in development under the working title Prince of Persia Zero. Ubisoft was planning a game for the next generation of consoles described as a cross between Shadow of the Colossus and God of War though it will now be rebranded as a Prince of Persia title. Prince of Persia: Warrior Within, the first sequel to Sands of Time, actually fits that description already, a blend of climbing and jumping challenges with weapon-based fighting with hordes of enemies. We’ve reached out to Ubisoft for comment on the legitimacy of the screenshot, but have yet to hear back. Does Prince of Persia need a new reboot? Considering that there’s no coherency to the series at all at this point, it’s hard to say what it would even be rebooting. Still, it’s distressing to hear that Ubisoft may be taking the Prince in a more realistic direction. Between Watch Dogs, Assassin’s Creed, and the Tom Clancy franchise, Ubisoft could use a property aimed at adults that is less violent and more stylized than its other games.